WATERBURY, Conn. - Feb. 7, 2017 - PRLog -- Acts 4 Ministry, Inc. in Waterbury, Connecticut received a notably generous $25,000 grant from the Elisha Leavenworth Foundation to provide new and complete bed sets for children throughout the Greater Waterbury community. The process and steps of how a family can receive the beds for any child under 18 years of age will be posted on the Acts 4 Ministry website beginning January 2017. 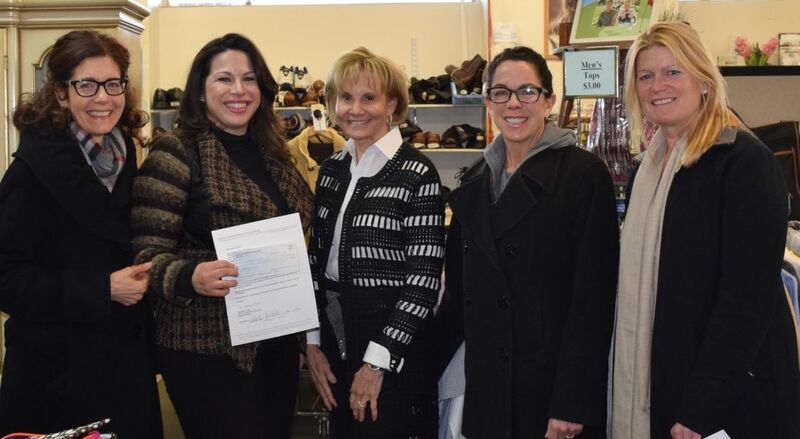 Acts 4 Ministry Executive Director Sarah Elizabeth Carabetta (2nd from left) posed for a photograph at the non-denominational non-profit organization's 1713 Thomaston Avenue retail center and donation storage facility with members of the Elisha Leavenworth Foundation (left to right) Sally Ciarlo, Cathy Smith, Lisa Sperry and Emily Anderson. The mission of the Elisha Leavenworth Foundation is to provide for the personal and social welfare of youths in the City of Waterbury and its environs, including education, recreation, and cultural enrichment, and to support other charitable and benevolent work in the Greater Waterbury region. Carabetta explained that Acts 4 Ministry is not a church. "We are a collaborative group of a volunteer board of directors, staff members and dozens of volunteers who desire to share God's love by meeting the physical needs of others. We achieve this goal daily on many levels by collecting and distributing, free-of-charge to recipients, clothing, and housewares plus a free furniture distribution program. "Through generous private donations, and exceedingly generous grants such as the one we have just very gratefully received from the Elisha Leavenworth Foundation," stated Carabetta, "we are able to create normalcy for families with children in the hopes that they may have a proper night's sleep, which directly affects their schooling and social interactions.We believe in the power of a good night's sleep for children regardless of a family's income status." For more information on Acts 4 Ministry, and current donation needs, visit http://acts4.net/ or call 203-574-2287.